In total, up to 615 patients could have been affected by the notification delay, between November 2017 and November 2018. A software error may have delayed hundreds of patients in Newfoundland and Labrador from getting timely medical results over the last year. 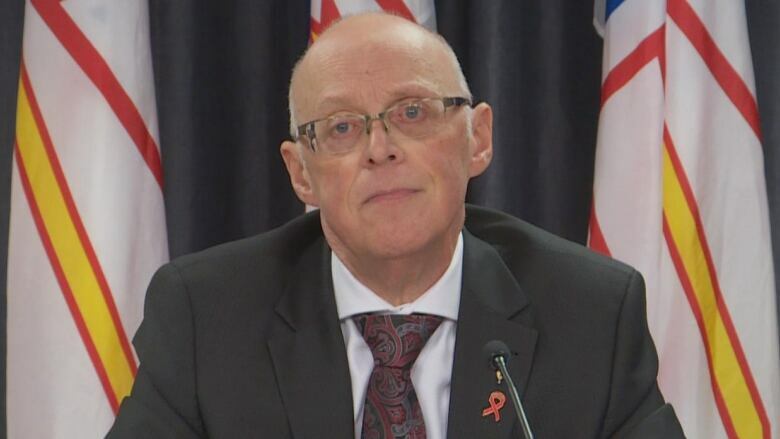 The provincial government revealed the error involving the electronic medical record program at a news conference on Monday morning. "The error may have delayed physicians and other health care providers in receiving some medical results, which in turn may have delayed timely notification to patients," reads a media release. The communication breakdown was with Telus Health's Med Access software, which takes information from the province's electronic medical record system and distributes it to doctors' offices. The problem involved medical results for up to 615 patients, provincewide, and happened between November 2017 and November 2018. Over that time period, the software would have dealt with 1.5 million transactions, meaning roughly 0.0004 per cent of results weren't electronically relayed to doctor's offices. According to the province's Centre for Health Information (NLCHI), roughly 510 of the 615 cases that weren't relayed happened within the last three months. Timely results continued to be available for health care providers via paper record in "the vast majority" of cases, the NLCHI said, and doctors and nurse practitioners continued to have access to the provincial electronic medical system. Info was available. There were paper copies and doctors and nurse practitioners could have gone into the provincial electronic system to find results, but in some instances, electronic copies didn’t make it through. There was a range of tests that would have been affected, including lab reports, ultrasounds, and X-ray results. But blood work was the most common procedure in which the results would have been delayed, according to Health Minister John Haggie. Critical results were not affected by the error because the backup plan worked, he said. "A lab tech will actually pick up the phone and ring whoever ordered the investigation as that result becomes available in the laboratory," he said. "That system worked and we have checked that it worked." Haggie has ordered a clinical review into the issue. Eastern Health will be looking at all cases flagged by the fault to determine the nature of the delay and what, if any, impact it had on patients affected. "We have not heard from any of the ordering physician or nurse practitioners of a clinical problem related to this, so we want to go back and double-check that with this process," he said. In a statement, Telus Health referred to the issue as a "coding problem," and said the matter was "resolved." Acting president and CEO of NLCHI, Stephen Clark, said an algorithm is at fault. He said a new algorithm is now being developed so this won't happen again. Haggie said the communication breakdown isn't an acceptable situation and says he is sorry it happened. "The important thing from our point of view is to identify if there's been any harm and try and remediate that," he said. "Second thing is to work on a process to make sure that we are safeguarded against this happening in the future." At least five provinces have been affected by the issue. Letters have been sent out to affected patients in this province. The electronic medical record program was designed for use by physicians and other health care providers. The program is jointly governed by NLCHI, the Newfoundland and Labrador Medical Association (NLMA), and the Department of Health and Community Services.